Although cravings for Ecstasy aren’t as strong as they are for other stimulants, they do happen and can lead to a harmful cycle of addiction. MDMA, more commonly known as Ecstasy or Molly, is a harmful, sometimes deadly psychoactive drug. While the drug may not have quite the addictive potential as other substances such as cocaine and heroin, Ecstasy users sometimes experience cravings for it. An urge to experience the increased energy, euphoria, distorted sense of reality and enhanced empathy the drug temporarily produces. An increased desire to be uninhibited and close to others. An inability to cope with stress and problems. Many MDMA tablets contain other drugs, such as methamphetamine, ephedrine, caffeine and cocaine as well as numerous other chemical contaminants. Because of this, it’s possible that the cravings are for one of them, instead. Defined by the National Institute on Drug Abuse as “a powerful, often uncontrollable desire for drugs,” 2 a craving can be both physical and mental. Tolerance that motivates people to take a larger dose. Seeking environments where Ecstasy is used. Spending more time with other users and less time with those who don’t use Ecstasy. Dreaming about doing Ecstasy or Molly. Constantly thinking about doing the drug. Along with the other negative effects of taking Ecstasy, cravings can occur hours, days or weeks after use. One way to cope with and overcome cravings is by participating in cognitive behavioral therapy (CBT) – a widely known individualized, collaborative form of psychotherapy. CBT focuses on changing unhealthy thoughts and beliefs that can lead to substance abuse and similar behavior. Distract yourself – Distract yourself from the craving by participating in an activity you enjoy or that engages you. Examples include exercising, watching TV, drawing, socializing or going for a walk. Practice mindfulness – Mindfulness techniques to deal with cravings include meditation and “urge surfing,” in which you identify that you are having the craving, allow it reach a peak and then let it pass. Avoid trigger situations – Recognize which situations trigger your urges and come up with a strategy to avoid them. Talk through cravings with non-using family, friends or sponsors – Establish a sober support group of family and friends that you can talk to about your cravings. Some people find that talking about their cravings takes away their power. Think about long-term negative effects – When you have a craving, think about the harmful effects of your MDMA use, such as experiencing depression and anxiety after coming off the drug. 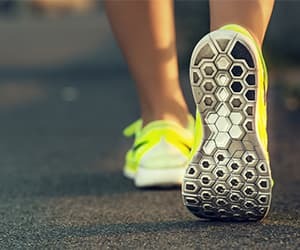 A study released in 2015 found that exercise programs may help reduce stimulant use in people, even if they have never exercised before and are regular users. 4 Rats who had access to an exercise wheel in their cage subsequently reduced their intake of methamphetamine and MDMA. Looking for Ecstasy Addiction Treatment? Who Answers? to talk to a trained specialist about Ecstasy addiction recovery options and how to pay for rehab. Inpatient rehab centers – Inpatient programs can be either short-term or long-term programs. They require that you live at the treatment facility. Short-term programs generally last between 30 days and 90 days. Many employ a modified, but intense, 12-step approach to recovery. Long-term programs generally last 6 to 12 months and offer comprehensive rehabilitation, support, training and re-socialization services. Outpatient rehab centers – Although the types of outpatient programs and the services they offer vary widely, they are generally less expensive than inpatient programs. Because they allow patients to return to their homes each day, they could be ideal for people with jobs and good support networks. 12-step group – These group meetings help to guide you through 12 steps to recovery. They focus on accepting that abstinence from substance use is necessary to overcome addiction, surrendering to the need to get help and completing each step of the recovery process. Individual therapy – You work one-on-one with a therapist to develop coping skills for maintaining sobriety and dealing with stress. Although there are currently no FDA-approved medications to treat Ecstasy cravings, antidepressants may be prescribed to treat any persistent, serious depressive episodes that may arise in conjunction with Ecstasy use, or during the withdrawal period. Ecstasy withdrawal effects can begin hours after taking Ecstasy. The negative effects of withdrawal may last up to a week for infrequent users, but can be much longer-term, or ongoing for regular users. One major danger of withdrawal symptoms is that their onset can lead users to take Ecstasy or another drug to deal with these effects. With every type of addiction, it’s important to recognize that a relapse is possible. It’s also important to recognize that relapsing isn’t failing. People who have a relapse should refocus their recovery efforts, and immediately continue with or get back into some type of recovery program. Returning to clubs or environments where Ecstasy or Molly was used. Continuing to spend time with friends or family members who use MDMA or other illegal drugs. Staying away from supportive, non-using friends and family. Straying from your treatment program. Convincing yourself that you no longer need help to fight the addiction. Losing confidence in your ability to abstain from using Ecstasy. Caring less about personal hygiene, sleeping habits, eating habits and health. Feeling stressed, conflicted or overwhelmed. Lack of structure in your life. Focusing on resentment or anger. Running away from personal problems. New obsessive thoughts or compulsive behaviors. Ignoring the impact of Ecstasy triggers and the relapse warning signs. Choose a recovery center that addresses relapse: Some programs – such as the Matrix Model treatment programs – offer relapse analysis. Some work with you to establish relapse prevention plans. Some even include relapse prevention group therapy as part of the overall treatment. Establish a support system: Spending quality time with a support network of non-using friends, family, counselors and members of support groups can help people try to avoid situations that might lead to relapse. Deal with your problems head on: The longer you put off or avoid your problems, the more the negative emotions associated with them can build up and cause you stress. Try to address stressful issues as soon as possible. Find time to relax: Balance work with activities you enjoy and that energize you. Doing so can keep your stress levels down and enable you to better handle day-to-day issues. People who join an aftercare program after their initial treatment receive the help they need to stay focused on their recovery. This is crucial since the majority of people who have a relapse have it during the first year following treatment. Groups for a certain demographic: (i.e. women’s groups, men’s groups, groups for teens, spiritual groups, etc.). Individual aftercare: (i.e., one-on-one therapy). Innovative new programs: (including ESQYIR, a text messaging aftercare intervention program that has been very successful with teens and young adults, who tend to avoid group aftercare). Overcoming Ecstasy cravings or addiction is possible. It’s all about finding a recovery program that works for you. Call 1-888-319-2606 Who Answers? today, and one of our rehabilitation support advisors can help you locate a program in your area based on your needs and insurance.
. Aarde, S.M. et al. (2015). One day access to a running wheel reduces self-administration of D-methamphetamine, MDMA and methylone. Drug and Alcohol Dependence 1;151:151-8.